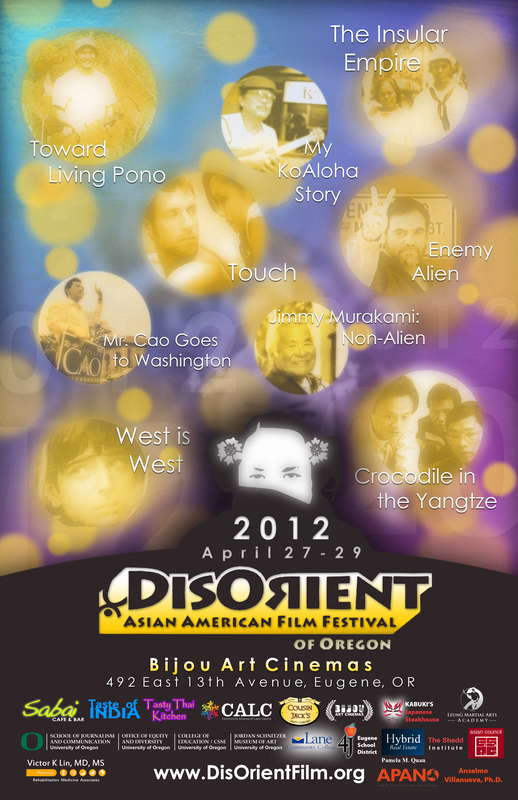 To get your tickets to each film, visit http://www.DisOrientFilm.org/2013 now! DisOrient 8 is coming! Stay tuned…The 2013 Program will be posted soon. 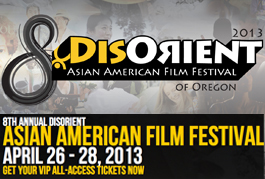 DisOrient 8 will be held at Bijou Art Cinemas from April 26-28th, 2013! We’re looking forward to seeing your films! Thank you so much to all the staff, volunteers, filmmakers, sponsors, supporters and audiences who made disorient such an incredible success in 2012! We packed the house all 3 days! 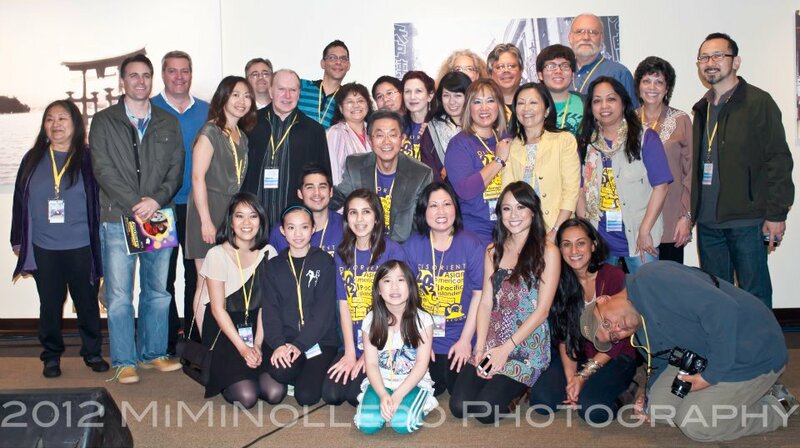 We could not do this without all of your forms of support and we hope to see you all again at future DisOrients! If you feel inclined to support this community-led, volunteer-driven homegrown social justice film festival EXPERIENCE, please help donate for our future, or leave us feedback at disorientff@gmail.com. “Enemy Alien” wins PACAlliance “Courage Award”! 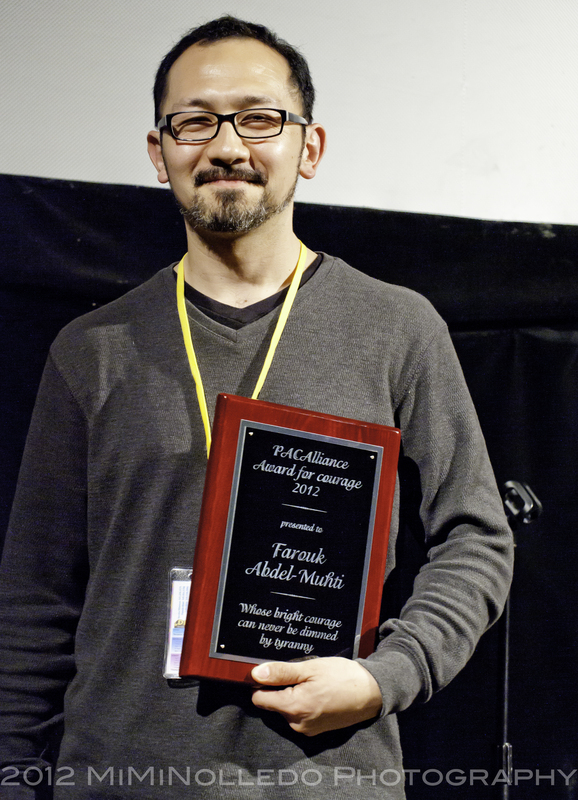 Farouk Abdel-Muhti, Palestinian activist and subject of Konrad Aderer’s film “Enemy Alien” has won the Pacific Asian Community Alliance’s “Courage Award 2012”. The award went to Abdel-Muhti, “whose bright courage can never be dimmed by tyranny”. DisOrient was proud to have filmmaker Konrad Aderer in attendance to field questions about his experiences fighting for Abdel-Muhti’s release from detainment, and to accept the award on Abdel-Muhti’s behalf as an instrumental person who brought this story to light. Thank you from all of us at DisOrient! The Craig Chee Band playing the DisOrient 7 reception!